Congratulations to Pomona local Alejandro Aranda on making it to the top 10 on American Idol! We are rooting for you! Downtown Pomona bursts out the bohemian blooms this spring in an array of color, texture, and themes that provoke the exploration of worlds both internal and peripheral. Kicking things off, the Latino Art Museum presents “Fire and Ice: Protect Our Universe,” a multimedia group show featuring paintings, drawings and collage from Rebecca Nabarrete, Juan Carlos Boxler, Rigo Rivas, Karen Pinto Monroe, Alberta Walker, Carolina Garino-Tabit, Aida Guerra de Heiras, Olga de Leon, Tom Fontanes, Alberto Leon, Amanda Unzueta, Mati Russo and Claudia Cogo, all of whom deep dive into the struggles and triumphs of the human experience. There’s also a solo show of ambient abstractions from museum owner and curator, Graciela Horne Nardi in the main salon, and on the last Saturday of the month, the museum opens for “Paint, Drink and Have a Good Time,” where new and hopeful artists can dabble in the craft of creation amist a group of friendly and frolicky peers. 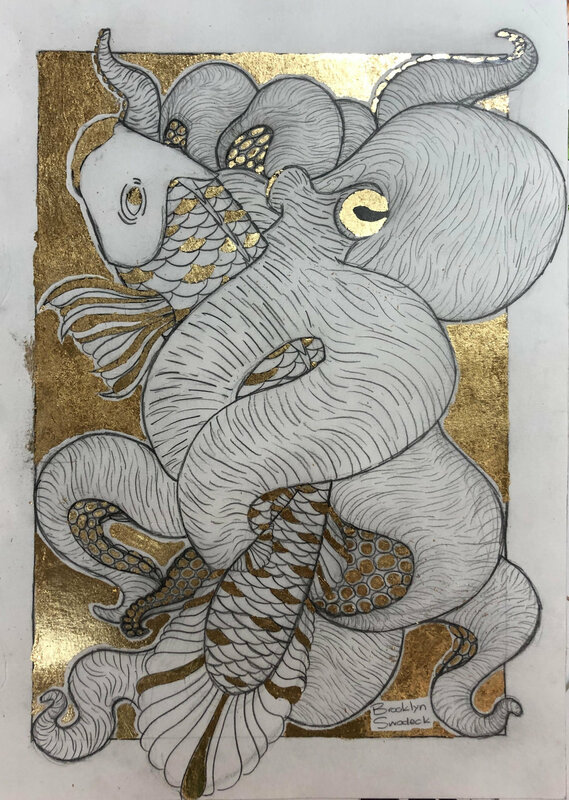 Progress Gallery keeps it local this month with an array of works from the 57 Underground gallery artists in “East & West,” while the 57 gallery itself hosts a duo show, “Submerged: Ocean-Inspired Artwork,” from ceramist Desiree Engel and painter Elizabeth Daron Redmon. Engel’s installation focuses on the effects of climate change and pollution on ocean life, and the inspiration for her clay pieces is draw directly from natural forms. 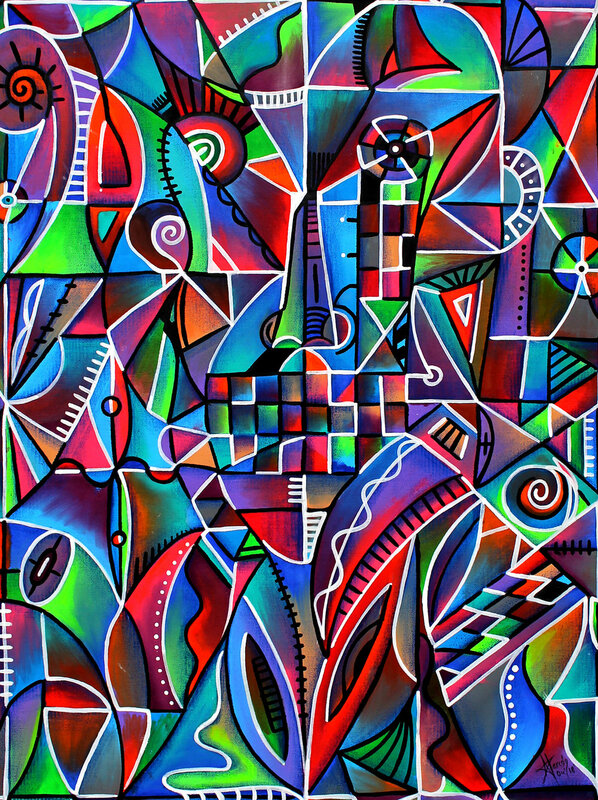 Redmon’s “nonobjective” paintings are a departure from her usual portrait work and through this adventurous journey she plays with color, shape, value and design, finding new intersections as she frees herself from precognition and plan. Metro Gallery spotlights the work of Marthe Aponte in “Imaginary Birds and Fantastic Creatures,” a showcase of hybrid whimsical creatures created through surrealist automatism, a method of art-making that incorporates randomness and allowing the creative hand to perform unguided, and the School for Arts and Enterprise (SAE) opens its annual “Digital/Visual Advanced Placement Senior Showcase” at the DTC, featuring works from 18 of their top graduating seniors. Owner John Pena branches out with El Jefe, pictured, and in the near future Senor Sushi, both located in Mission Promenade. His first business was at age 15 throwing house parties for $85 a day, but his goal was to buy his mom a house which he did at 22 years old. The Pomona, Calif. restaurant is photographed Thursday, March 28, 2019. For the past decade, John Peña has been on a mission to not only invest in Downtown Pomona but create a nightlife scene. In that time, he has opened Krazy Js, the Carnaval Nightclub, and Big Ds — all three establishments are located in the core of the historic neighborhood. Peña said he’s spent between $18 million and $20 million to date, scooping up properties, becoming the largest downtown employer in the evening and late hours. And now Peña, 44, is taking on his biggest project yet, a rejuvenation of the long-troubled Mission Promenade, a three-story mixed-use building on the northwest corner of Mission Boulevard and Garey Avenue. Since purchasing the property in August for $5.75 million, Peña has been busy signing long-term leases with existing tenants, bringing in new ones, and even opening two new restaurants: El Jefe and Señor Sushi. The restaurants will have separate interior spaces but a shared patio, which features a 300-year-old aak tree as the focal point. El Jefe, a 6,500-square-foot indoor and outdoor modern Mexican restaurant opens Wednesday, with a grand opening set April 25. Built in the early 2000s, the Mission Promenade was a project of a private developer with financial assistance from the city’s now-defunct redevelopment agency. Things were so bad that the city referred to the property as “distressed asset” as late as last year because the building was 50% vacant and 50% of the first and second floors needed tenant improvements. On top of that, the second phase of the project, a parking structure, was never completed, which means it will be harder for the owner to attract leases from national companies, Kirk Pelser, deputy city manager, said last year. As for the occupancy rate, Peña said it’s now at 85%. Larry Egan, executive director of the Downtown Pomona Owners Association, said Peña solved the parking problem in part by purchasing 18 spots from the parking district, so that his employees can park offsite, freeing more spaces for customers. Peña has not only come up with the design of the restaurants, he’s also had a hand in the menu for El Jefe. The interior of El Jefe features a bar with a retractable wall that opens up to the outdoor patio, dark hardwood flooring and ornate blue and white tile accent walls. A stickler for detail, Peña even added a ring light in mirrors of the women’s restrooms so they can touch up their makeup — or take a selfie. Initially, he was going to call the modern Mexican restaurant Mission Oak, for the tree on the property. After talking to friends and acquaintances, he pivoted. “This has been a dream of mine. The name of my company when I was kid was called Boss Entertainment, and in Spanish boss means ‘El Jefe’. A dream of mine was to one day open up a bar or lounge called ‘El Jefe.’ Even though I’ve opened up restaurant and bars, I’ve never used that name,” he said. El Jefe’s menu will be split into three categories: traditional, modern dishes and vegetarian and have a price point that compares to other restaurants. Señor Sushi, which will be about 3,000 square feet, is aiming for a soft opening next week and a grand opening May 2. Last week, Peña and his crew were still deciding the menu, but he said it will bring original Japanese and Korean sushi to a mariscos setting, meaning the sushi and sashimi rolls will have a Latin flavor. While he’s also bought properties in Pomona and relocated the operations of his own company, JP Management Group, from Pasadena into a Main Street building he purchased, his love affair with the city started when he was in his teens. Peña grew up in Pasadena and started out by promoting house parties at the age of 15. He then became a nightclub promoter, at one point working with Perry Tollett, co-founder of Coachella, of Downtown Pomona events. “I had a chance to know the community, and then I fell in love,” Peña said. According to the Brewer’s Association, there are now over 7,000 craft breweries in the United States, and the openings show no sign of slowing down. With all the variety, consumers are glutted with choice, it’s more difficult than ever to find the standouts. But if you can only travel to one brewery a year, you could do a lot worse than visiting one of the places on this list. Although they make a variety of styles, the breweries here are similar in that they represent the authenticity, creativity, and quality that have characterized American craft brewing over the last half decade. Barrique is Nashville, Tennessee’s smallest brewery, and one of its most niche. The brewery gets its name from a common term for a French wine barrel, which owner Joel Stickrod uses to age every one of his beers. The result? Complex, acidic sour beer that rivals some of the best in the country. If you ever visit Barrique, talk to Stickrod about music — in addition to running a brewery, he’s a sound engineer for Darius Rucker. Beer fans have long been excited for the opening of DSSOLVR, an Asheville, North Carolina-based brewery founded in part by former brewers at Burial, one of the South’s most respected beer makers. Although it’s not yet open, the folks at DSSOLVR have been building press by collaborating with other breweries across the country, including Night Shift in Boston and Hoof Hearted in Columbus. When they launch, the brewery will specialize in three areas: traditional German and English ales, barrel-aged sours, and new school IPAs and stouts. Florida was late to join the craft beer party, but they’ve been making up for lost time. The Tampa-area has been a big part of that shift, with breweries like Cigar City and Angry Chair that regularly see lines for their bottled stouts. But it’s Hidden Springs Ale Works that’s the hidden gem. With crazy creations like Man Child (a peanut butter and jelly Berliner Weiss) and Deja Moo (a milk stout with smoked chipotle peppers and cocoa nibs), a visit to Hidden Springs is bound to show you something creative. After you visit Hidden Springs, be sure to head next door to Garagiste, one of the best meaderies in the world. Brave the L.A. traffic and head to east to Pomona, California, where you’ll find Homage founder Matt Garcia making some of the country’s best sour beer in his light-filled taproom. Inspired by the lambic beers of Belgium, Garcia is often behind the bar himself, serving bottled beer out of a wicker lambic basket. The baskets keep the bottle at an angle to avoid pouring the sediment that develops inside the bottles of traditional, unfiltered sour beer. Keep an eye out for Wild Pink Robots, a barrel-aged sour conditioned on whole organic strawberries. Founder Mike Pallen got his start in home brewing before training professionally at Chicago-area breweries Pipeworks and 18th Street. His pedigree shines through at Mikerphone, where every beer is a music reference. Try the Jagged Little Pils or Check 1, 2, and be sure to check out Pallen’s “Smells Like a Beer Fest,” which annually raises thousands of dollars for area youth programs. Emily and Lee Cleghorn met in Manitou Springs, Colorado, while they were both in the army. Four months later, they were married. They moved from Tennessee to New York, but Colorado was always in their hearts. After two years of brewing school and an internship at the now-famous Other Half Brewing in Brooklyn, the Cleghorns settled in Frisco, Colorado to open a brewery. Their motto? “Leave the Life Below.” Their warmth and authenticity come through in the beers, and their IPAs are some of the best in the country. Alabama was the last state to make home brewing legal (in 2013! ), and it’s not often that you hear someone say, “I tried the most amazing beer in Birmingham.” But the young brewers at TrimTab are changing that. “We believe that beer is a springboard for creating community and that as brewers we hold a special role and responsibility,” they write on their website. Their flagship TrimTab IPA is complex and balanced, and helps define what “southern beer” looks like. Co-founder Dino Furnari has been a fixture in Boston’s brewing scene for years, but it wasn’t until early 2019 that Vitamin Sea finally got off the ground. And the community responded — thirsty fans flooded the taproom, and the brewery sold out of its stockpile of cans on the day they opened. Grab an IPA at this South Shore brewery and talk to the staff. You’ll be hard-pressed to find nicer people in the industry. Traditionally, Fort Lauderdale has been a town where grandparents move for retirement, but a new generation is making the city a destination for young people. Owned by four Florida natives who love beer, the brewery makes progressive styles that are rooted in brewing tradition. They take full advantage of Florida’s agriculture, often visiting local farms to pick the fruit they use in their beer. And they’re big contributors to the scene themselves — they currently have 65 hop plants growing hydroponically at the Urban Farming Institute in Oakland Park. The School of Arts and Enterprise (SAE) hosts the “Middle School Visual and Digital Arts Spring Student Exhibition” at The Gallery at The Downtown Center featuring student art that explores the techniques and imagination sparked while attending the 2018-19 school year at The School of Arts and Enterprise Middle School. Progress Gallery offers a triage of fascinating work in "Transparency," an exhibition by Duncan Simcoe, Clovis Blackwell, and Steven Felix-Jager, all of whom explore the mechanisms behind the visible through personal, societal, symbolic and linguistics, penetrating the layers of meaning in complex formations. 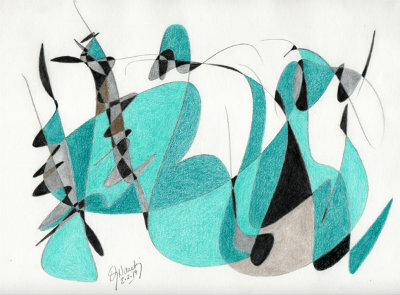 Latino Art Museum celebrates the “15th Women International Show,” featuring work from Aida Guerra de Heiras, Alberta Walker, Alicia Riccardelli, Antonia Rodriguez, Ayumi Dickson, Beatriz Hidalgo de la Garza, Betina Attas, Carla Chavez-Keller, Carmen Teal, Carolina Garino-Tabit, Cherie Redlinger, Claudia Cogo, Conchi Sanford, Elizabeth Sides-Preston, Iris Vodopivec, Kareene Alprecht, Karen Pinto de la Calle, Marcello Boza Carcamo, Maria Arisi Demaria, Maria Sanford, Mariana Montes, Mati Russo, Michelle Spencer, Olga de Leon, Paola Carcamo Cotero, Patricia Aizcorbe, Paula Gimenez, Rebecca Nabarrete, Rosa Elena Osicka, Rosario Lopez Ercoli, Sabina Zamudio, Sharon Turner, Silvia Amezaga, Silvia Garcia, NS Veronica Buccio, as well as continues their solo show of the works of Claudia Cogo. 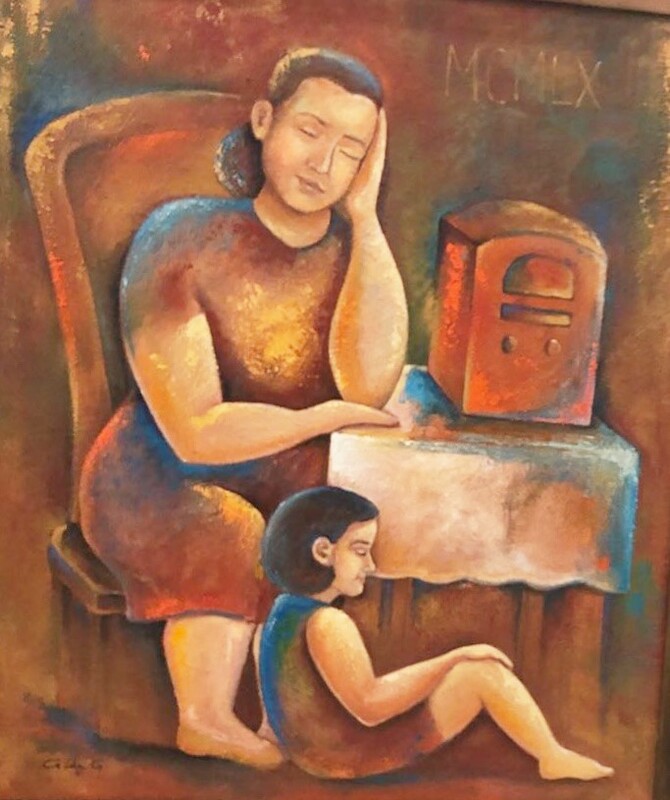 This month the museum will also highlight their Women of the Year 2019, presenting awards to artist Beatriz Hidalgo de la Garza and businesswoman Paula Lantz. Finally, Metro Gallery presents the geometric abstracts of Latino Art Museum owner Graciela Horne Nardi in "Never is the End - Hard-edge," offering a look at the talents of one of Pomona’s most revered citizens, and The Alley Gallery pumps up the volume in a solo show of illustration, spray paint, graphic design and more from intuitive creator Daze1Arts. Owner doing it in part through cuisine described as Mexican food dishes served Chicano style. It’s taken six months, but food truck-turned-restaurant Dia de los Puercos is finally making its downtown Pomona its own. The restaurant has gained city approval after a months long quest to finish an Aztec mural, the lighted sign has been installed along the wall facing Garey Avenue and the menu is getting an upgrade. Behind all of that is owner and chef Rick Garcia, whose goal is to make Chicano and non-Chicanos alike focus on family time. He’s doing it in part through cuisine described as Mexican food dishes served Chicano-style. 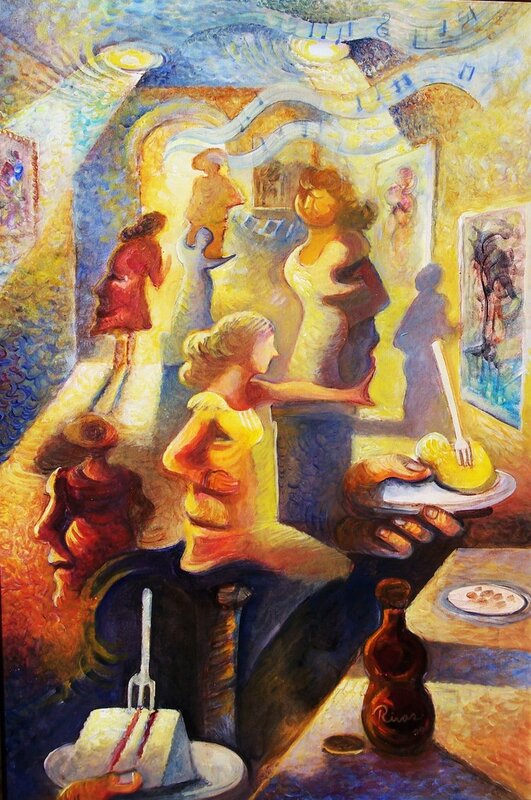 “Our concept is based on our culture, the flavors of the food, drinks, the music, artwork of our culture. We make you feel like when you’re with family,” said Garcia, who was nicknamed “El Chefe” – a combination of chef and jefe (Spanish word for boss) – during his days as an executive chef for Hilton. It’s why the inside of the Pomona location is filled with communal tables and piñatas hang from the ceiling. Visually, it’s an homage to Boyle Heights. Graffiti-style art and a photo mural of the Sixth Street bridge line the walls, also decorated with replica street signs for Sixth Street and Brooklyn Avenue. Outside in the patio there are mock light poles with a pair of sneakers hanging up. Food-wise, Garcia is serving such dishes Artesa Papa, which are fries with gauca salsa and cojita cheese. There’s also the Ese Borracho, Garcia’s take on the L.A. Style hot dog which has a bolilo, grilled onion, mayo, mustard, ketchup and cojita cheese. The weekend brunch menu offers a Chismosa, a sparkling wine with Tampico orange juice — a staple in many Latino household refrigerators. The bilingual menu is also a true reflection of how Garcia communicates, who spoke Spanglish during a recent hourlong interview. Dia de los Puercos, in a prominent corner location on Garey Avenue at Second Street, took over a spot associated for nearly two decades with Joey’s BBQ, succeeded by the Rookery from the same family. The Rookery moved last year a few storefronts west. Garcia was first recruited to the Los Angeles County Fair in 2017 by Fairplex CEO Miguel Santana and then to downtown by the Tessier family, which owns the building. He gave up his lease in West Covina to head east. Not long after opening the 150-seat Pomona location, Garcia established a counter-based outfit at Riverside’s Food Lab, a food hall developed by Jerry Tessier. There are 21 employees between the two locations, but Garcia knows his staff could grow. Although there have been some challenges, the past year has been a departure from his 20-hour days when Dia de los Puercos operated as a food truck. “We’re still figuring it out,” he says with a chuckle. Adding more culture to the actual building, though, proved harder than he’d expected. Garcia brought in graffiti artist Mike Rios to create a mural 13 1/2 feet tall by 40 feet wide on a blank brick wall facing busy Garey Avenue. The mural will be an artist rendition of the legend of Iztaccíhuatl and Popocatépetl, two volcanoes 45 miles from Mexico City, Garcia explained at Cultural Arts Commission meeting last month, which approved the completion of the work. The duo were once humans in love but were separated and never reunited before Iztaccíhuatl’s untimely death. The image is of Popocatépetl kneeling by Iztaccíhuatl’s side. “We thought that art was a very important aspect of our culture, so with the restaurant we wanted to share our culture in a classy way,” he said recently. On a recent Tuesday afternoon, Garcia said it was his hope to have the mural done by month’s end. On this day, he was five weeks into his plant-based diet – and by all accounts loving it and might make it permanent. If you know him, it’s not necessarily the normal path you’d expect from Garcia, who on his birthday would always set out to find the biggest steak. But he was diagnosed with Type 2 diabetes brought on by his diet as well as the everyday stress of being a business owner. At first, Garcia said he took the diagnosis lightly. His uncles, who also had diabetes, ate and drank whatever they wanted. But the more he thought about it, the more he noticed how their quality of life ultimately declined, and he didn’t want to follow suit. “I want to reverse it because I want to see my kids grow up and I want to live,” said the 45-year-old father of four. Garcia is waiting until 90 days pass on his new regimen to gauge the health benefits, but already he’s noticed improved sleeping patterns, less soreness and an end to moments of dizziness. Initially, he said had no cravings but backtracked to acknowledge he misses his Double-Double burgers from In-N-Out and laments the lack of late-night options. His change in eating has also inspired a new concept that may be part of the Dia de los Puercos business family. Garcia didn’t want reveal too much at this point. The restaurant has always served vegetarian-friendly choices such as calabaza with Soyrizo, huitlacoche, also known as corn mushroom, and tacos de camote or sweet potato. Some new items he’s working on are the “Baraflora,” a flower-based protein braised in pastor and barbacoa marinade. He also plans on adding “Nasada” and “Al impostor,” which will resemble carne asada and al pastor flavored meats. He’s also working on developing an alternative to fish n’ chips with the goal of adding these new items by Lent, or as he said it, Cuaresma. His goal is for 80 percent of his menu to offer a plant-based alternative. Garcia said making changes to the menu might be easier than changing the public’s perception about his restaurant’s name, which means Day of the Pigs. But the name has nothing to do with food. Rather, it’s a play on words. “A lot of the local plant-based vegans and vegetarians are intimidated by our name. They see ‘puercos,’ and they just think it’s all pork,” he said. A bit of a workaholic, Garcia said he’s always busy working with staff to make changes. For example, he finally caved in and bought television screens for the front area after numerous requests, despite thinking they’re a distraction. He’ll launch a karaoke night with oldies, and on Valentine’s Day, he put together a $40 buffet with a Pachuco Baile-tines pechanga, or dance party in English. Despite some possible opportunities, and the Chinese New Year’s lucky tie-in, Garcia doesn’t expect to do any more expansions in the near future. Happy Valentines Day from Downtown Pomona! There are plenty of ways to celebrate all over downtown tonight. Check out our events page for all the details. Stay safe out there. Sometimes, a thing is just so mind-blowing you need a double-dose. That’s the case I’d make for Metro Gallery’s continuing show for the month of February, “Superior Animals,” a robust and inspiring collection of surreal anthropomorphic sculptures and paintings by artist Kai Mao. Blending the earthy, serene and spiritual elements of man and beast, Mao introduces us to rabbits, roosters, monkeys, and more in postures that, while unfamiliar in their animal kingdom, transpose with elegance into our human realm. Evoking poignant reflections on the very nature of our divisions and affinity, Mao’s creations offer a unique bridge between these two worlds and an innate sense of hope Likewise, Mao’s hypnotic paintings, most of which feature humanity center stage, float us into ethereal realms where inner cores manifest into outer dreams. Subtle and sedate, these portraits of porcelain women with elongated necks (and a few forest creatures sporting the latest fashion) ask us to read below beauty’s surface to witness desire and doubt manifest. 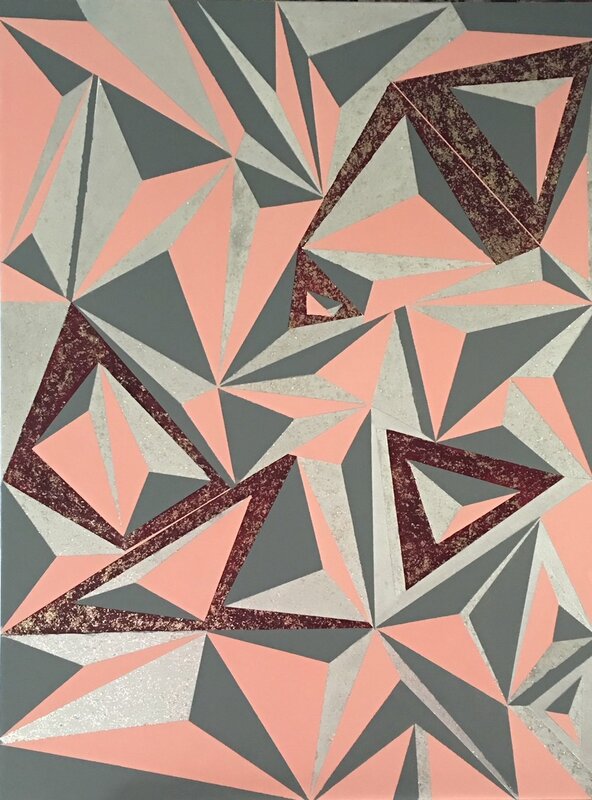 New shows this month come from the School of Arts and Enterprise (SAE) with their “High School Digital and Visual Spring Show,” featuring a variety of art styles and themes from students that have been developed in class and in their personal time. Local talents take over Progress Gallery this month, photographer Jill Carol’s “That’s So Second Street” in the East Gallery that offers up a veritable Pomona family album through snaps of local events and peeps over the last few years that chronicle the diversity and artistry of the downtown scene, and in the West Gallery, local painter and award-winning Native American musician Steve Rushingwind Ruis puts on display an array of his still life paintings that celebrate the very act of living. 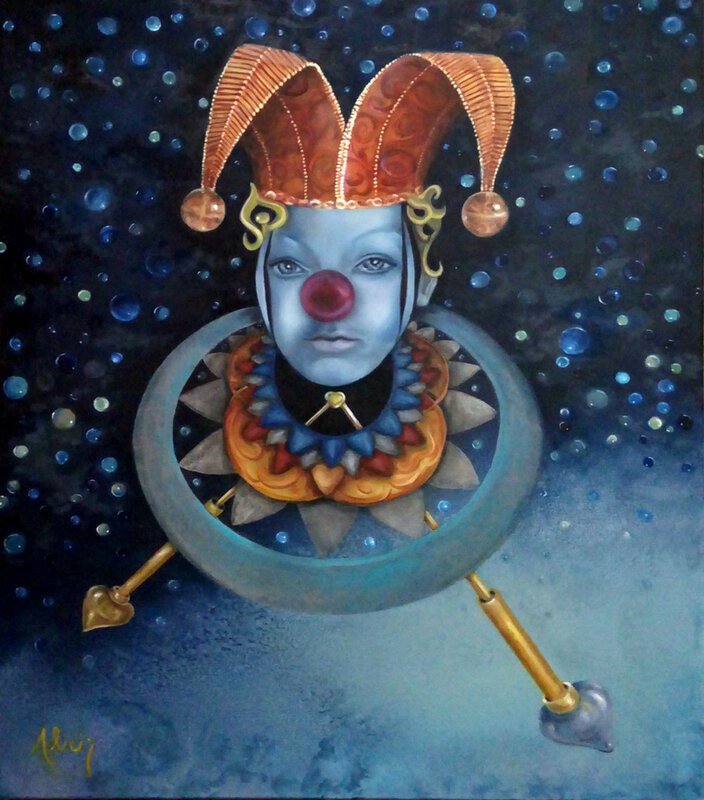 The Latino Art Museum presents three new colorful shows: “Mapa del Arte de Mexico,” a group show of 37 artists hailing from our southern neighbor; “Mardi Gras in Pomona,” featuring work from Rigo Rivas, Mariana Montes, Juan Carlos Boxler, Mati Russo, and Cherie Redlinger; and a solo exhibition “Brushstrokes” from Argentine painter Claudia Cogo. Also on deck this month, the dA Center for the Arts presents its annual “Simply Red” group show extravaganza. They say people born in the year of the Pig think logically and are able to fix whatever problem they're in. They aren't good communicators, but they're kind and able to provide for the family. Most of them are wealthy. Their only obvious fault is that they lose their temper easily. One step inside The Paradox Arcade+Bar in downtown Pomona and you’re immediately transported back to the 1980s and ’90s. On the right, there are upright arcades like Galaga and Ms. Pac-Man. To the left, are pinball machines: Attack from Mars and the Addams Family. The throwback arcade for adults — there’s a bar that serves alcohol, thus the snappy portmanteau “barcade” some use — is the brainchild of Evelina, 36, and Sabrina Gamboa, 35. The married couple were sitting at a communal table recently as they shared their inspiration for opening the business. “It’s a little of everything that we enjoy,” Evelina Gamboa said. The oldest child growing up, Evelina Gamboa wasn’t allowed to go to arcades alone, so she’d find arcade games at the laundromat, liquor or grocery stores and play whenever she had the chance while the family shopped or cleaned clothes. Sabrina Gamboa, on the other hand, would sneak into her older brother’s room and play their console games. The arcade games are all still coin-operated. In all, there are 26 machines as well as Atari, Nintendo 64 and Playstation 1 consoles played on a flatscreen. The couple’s attention to detail didn’t just end in the gaming section. Beyond the machines is the bar and a communal table. The wooden bar top was made by Evelina, and the beer taps are held up by a bright green pipe, resembling one of the main modes of transportation in the Mario Bros. games. The ceiling just above the bar mimics Donkey Kong, with the steel beams painted like the red platform in the game and blue ladders painted on the ceiling. Fourteen beers are on tap, all off which come from California craft breweries. Evelina Gamboa always knew she wanted to start a business in her hometown. Over the years, she bounced ideas off her wife until about two years ago, when they decided on the bar and arcade concept. “I knew this was going to happen, I just didn’t know how,” she said, adding they didn’t own any arcades at the time. Soon enough, Evelina Gamboa was working her phone, constantly checking various websites and apps to see if anyone was selling their upright arcades or pinball machines. The first one they purchased in April 2017 was a Ms. Pac-Man/Galaga Class of 1981 arcade gaming cabinet. After amassing a collection, the next struggle was finding the right downtown location. It was about 1 1/2 years ago when the building’s management told them about a 1,350-square-foot space at 396 S. Thomas St. — a retail shop at that time — that would become available soon. After visiting the space, the couple signed a lease and then the waiting began; they had to work the city approval process. The City Council approved the business last February. As soon as they got the OK, the Gamboas went to work making major improvements to the interior, relying on friends and family to help paint the floors and walls. They were finally able to open in October, Evelina Gamboa said. The Gamboas both served in the U.S. Army and then the National Guard. Evelina Gamboa works full-time at Joint Forces Training Base in Los Alamitos while Sabrina Gamboa is overseeing the day-to-day operations of Paradox. The two, however, are both there Thursday through Sunday, running the business with the help of two bartenders and a security guard. As a tribute to their military service, the patches they earned during overseas deployment hang just above the beer taps. The couple said they encourage other veterans to bring their patches in to help adorn the wall. As female owners of an arcade, the Gamboas acknowledged they weren’t sure what kind of reception they would receive. Some patrons express shock, especially female customers. But they’re also the ones usually giving them high-fives or words of encouragement. One even suggested they add more purse hooks, said Evelina Gamboa, with a laugh. Downtown Pomona kicks off the New Year with a mixture of the old and the new, offering residents and visitors the chance to catch shows from December that they missed while immersed in holiday frenzy, as well as experience new exhibitions that offer fresh and powerful perspectives on our humanity for 2019. Metro Gallery opens with “Superior Animals,” a series of paintings and sculptures from Kai Ma that seek to find the animality within the human form through exaggerated expressions that reveal the noble and elegant nature of the Earth’s most domineering mammal. An internationally acclaimed artist and recent transplant to Los Angeles, Mao believes that every animal represents a human attribute or human character, with special emphasis placed on pride, beauty and elegance. 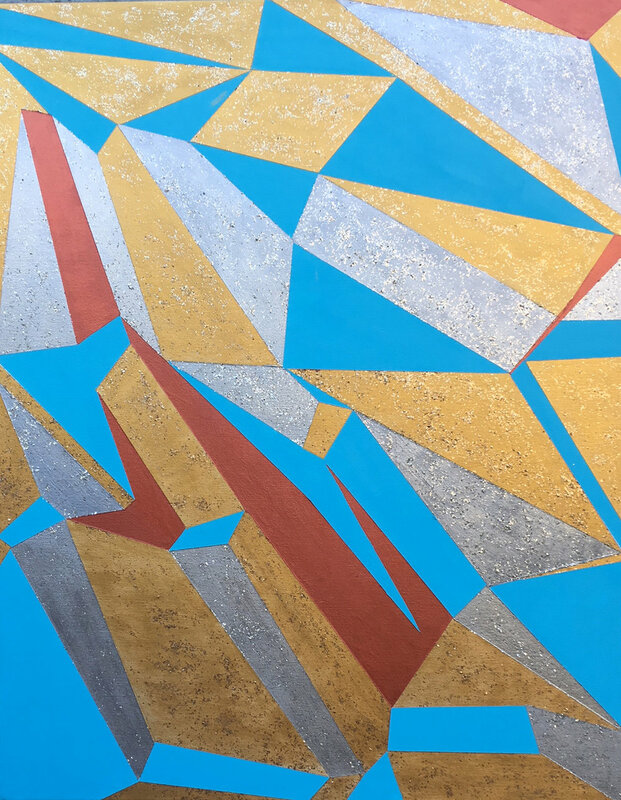 Progress Gallery presents “Of Gods and Other Flawed Creatures,” a solo exhibition from Mark Thomas Bunner, a faculty member of the School of Art and Enterprise in downtown Pomona, uses form, line and texture to tell stories that explore time and motion. 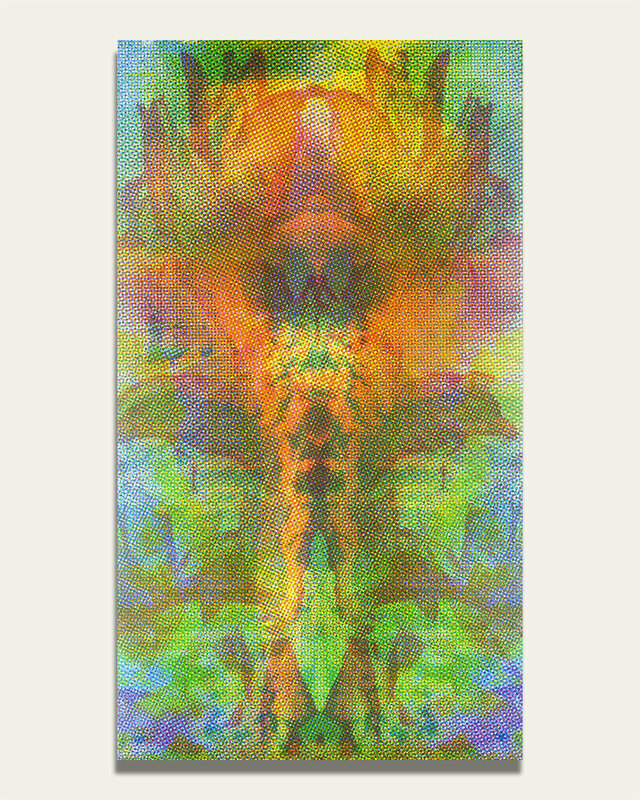 From majestic depictions of the female form floating through atmospheres meant for winged creatures to subtle observances of petals of a flower that often elude our gaze, Bunner asks for a deeper empathy from “a world that rejoices in the image of its blurred lines” in hopes of rejoining us to the small moments in life that we often fail to grasp in our flurry of living. The Alley Gallery greets 2019 with an invitation to rumble in “The Roller Derby and Art Exhibition,” an evening celebrating the sport of roller derby in the modern era featuring work from HitSquadTV, Michael Wise II, Tristan King, The Angry Artist and others – so lace up your quads and roll on over to honor deliciously dangerous derby dames! For January, The School of Arts and Enterprise (SAE) continues “The 2018 Creative Arts Year in Review,” a collection of the best student art from last year chosen from more than 1000 student artwork entries by a jury of arts teachers and educators. Thirteen of these winners will be featured in the upcoming “The Art of the SAE” calendar, debuting this year. 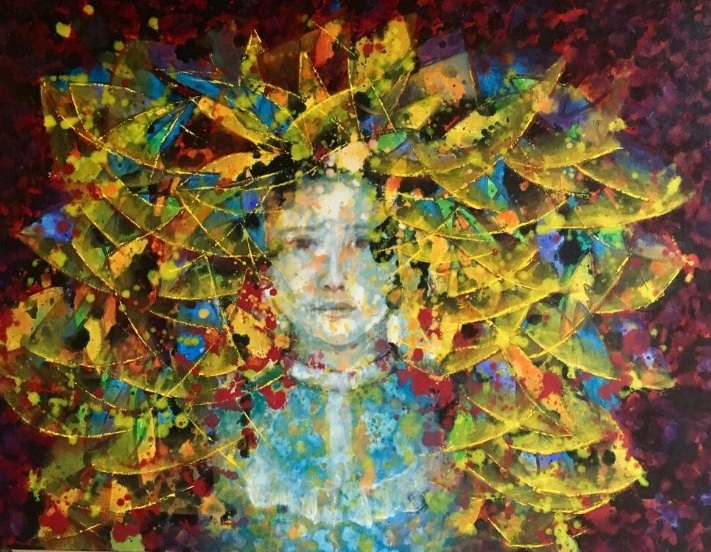 The Latino Art Museum also continues its December shows “Jambalaya,” a solo show by Mati Russo, featuring “thought-provoking” works that “champion the truth,” as well as the duo show from Rigo Rivas and Juan Carlos Boxler in the Main Salon. Lastly, don’t forget to stop by and show your support for the dA Center for the Arts fundraiser for Inland Empire Harm Reduction (IEHR), hosted by the Alternative Gathering Collective (AGC) and friends. This local, community-based public health project works to improve the health and well-being of people affected by drug abuse in the Inland Empire region of Riverside and San Bernardino counties. $5 donation. On behalf of all of us at the DPOA, have a Happy Holiday and prosperous new year. The Holiday Season is upon us, as evidenced by the torturous mainstream radio and Muzack resurrections of pop earworms such as Paul McCartney’s “Wonderful Christmas Time,” but fear not – Downtown Pomona plans to put some shake, rattle and roll back into the Yuletide! Once again, the Downtown Pomona Owners Association invites one and all their annual holiday parade, this year titled “the Sounds of Christmas.” Featuring school marching bands and drill teams, boom boom car clubs, service organizations, local dignitaries, and spectacular floats, even more holiday festivities await at the Shaun Diamond Plaza – including Santa Claus, snow, crafts, and music you can actually groove to. The parade’s Grand Marshall this year is Harold Ray Brown, Pomona resident and founder of the funk band War, which topped the charts in the 1970s with songs such as “Why Can’t We Be Friends?” There’s no good reason why we can’t, of course, so roll on into the Downtown and inspire a little peace on Earth! 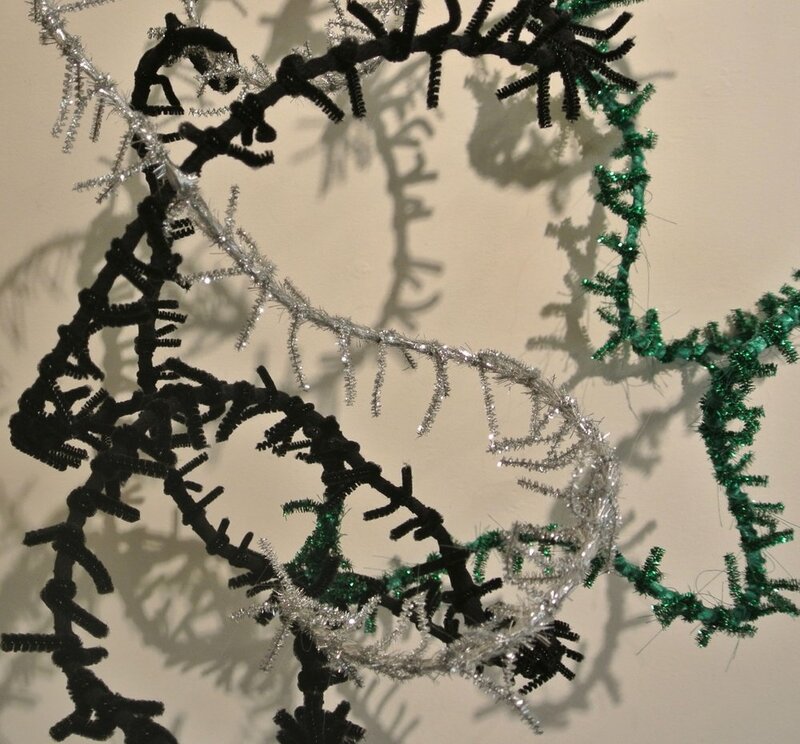 The Downtown galleries will also be celebrating the holidays in spirit, and the Latino Art Museum opens two new shows: “Jambalaya,” a solo show by Mati Russo, features “thought-provoking” works that “champion the truth,” and a duo show from Rigo Rivas and Juan Carlos Boxler take center stage in the Main Salon. The Progress Gallery dips into history with “Millard Sheets: Coming Home,” a retrospective of the iconic artist’s work sponsored in part by the Claremont Heritage association. Presenting recently acquired murals originally produced by the Millard Sheets Studio for Buffum’s department store that anchored the east end of the Pomona Mall, these paint on wood panels depict the history and glory of Pomona. Also included in the exhibition are mosaics and sculpture, and a short film comprised of interviews with Sheets and other Pomona Valley artists. Books, artwork and DVDs on Sheets will also be available. The School of Arts and Enterprise (SAE) presents “The 2018 Creative Arts Year in Review,” a collection of the best student art of the year as selected by a jury of arts teachers and educators. From more than 1000 student artworks over the course of 2018, 50 unique and original works have been selected for the exhibition, and of those, 13 will be chosen by popular vote to be featured in the upcoming “The Art of the SAE” calendar, debuting this year. Due to the parade activities, the DTC gallery will open early this weekend at 11am. Last but not least, Metro Gallery continues its exhibition “1928,” a collection of works in acrylic and recycled/found wood by Lancaster painter and muralist Julius Eastman. 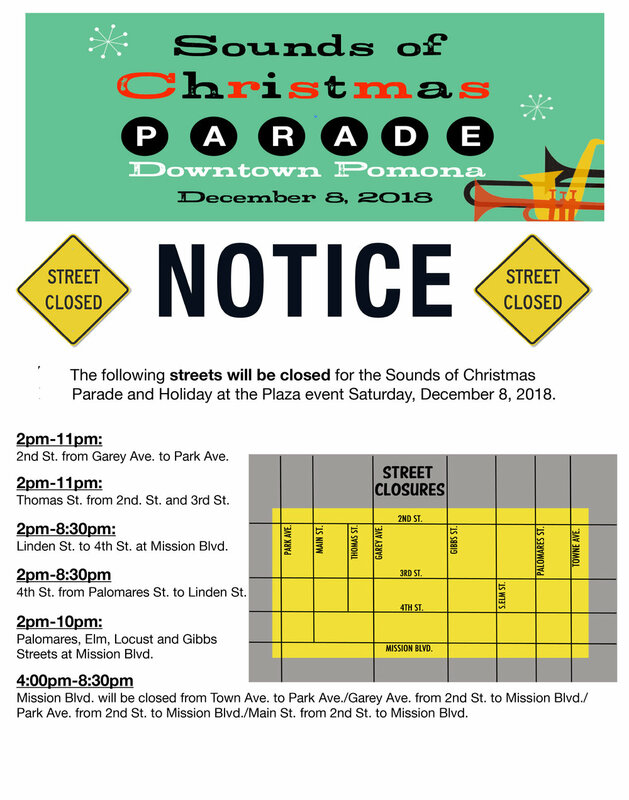 Thousands are expected to flock to downtown Pomona on Dec. 8 for the annual Christmas parade. 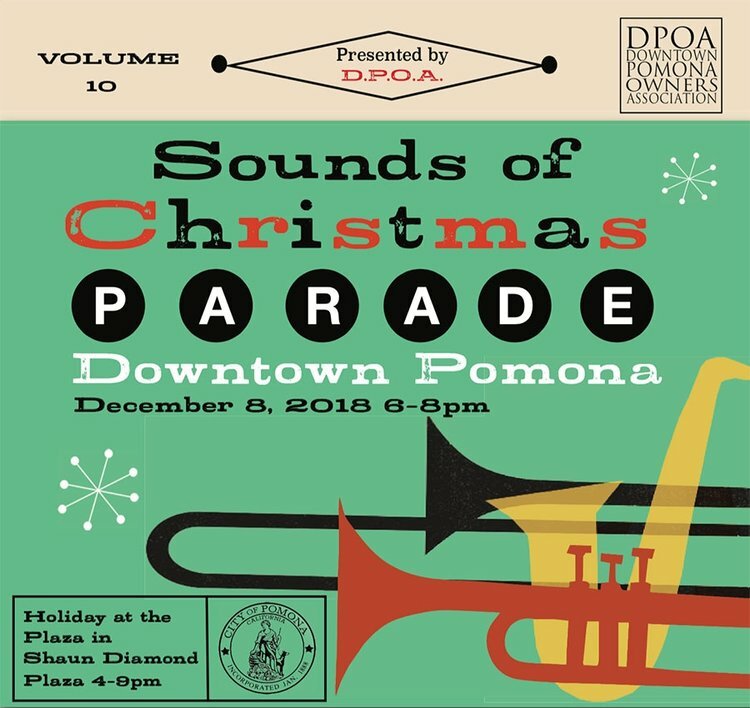 The Pomona Christmas Parade, themed “Sounds of Christmas,” will be from 6 to 8 p.m.
Harold Ray Brown, a founding member of War and a Pomona resident, will serve as the grand marshal, the Downtown Pomona Owners Association announced in a news release. The parade is expected to feature more than 100 entries, including floats, bands and drill teams. It will begin at East Second and Gibbs streets and continue west on Second then turning south on Park Avenue to Mission Boulevard.At Mission, the parade will turn east and then head north on Garey Avenue before turning east on East Third Street, south on Locust Street, and east on Fourth and ending at Gibbs. A free family event prior to the parade will run from 4 to 9 p.m. at Shaun Diamond Plaza. For more information, visit downtownpomona.org.